The 24 finalists of new talent show Stardom Nigeria have been revealed. The contestants were announced at an event in Lagos, where they talked about their experiences so far and discussed their expectations for the next stage of the show. 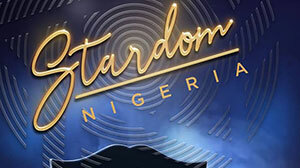 “Stardom Nigeria is one competition that will produce three winners who stand to win prizes worth $30, 000 and record a hit track with a mystery top selling artist,” said a spokesman for the show, which airs on EbonyLife DSTV channel 165 and StarTimes channel 189. The spokesman added: “A first of its kind, Stardom Nigeria is a TV show that celebrates the art of musicianship by spotlighting the essential skill sets required to make a hit song. It takes a huge step beyond the cookie-cutter ‘singer hugging the limelight’ routine.